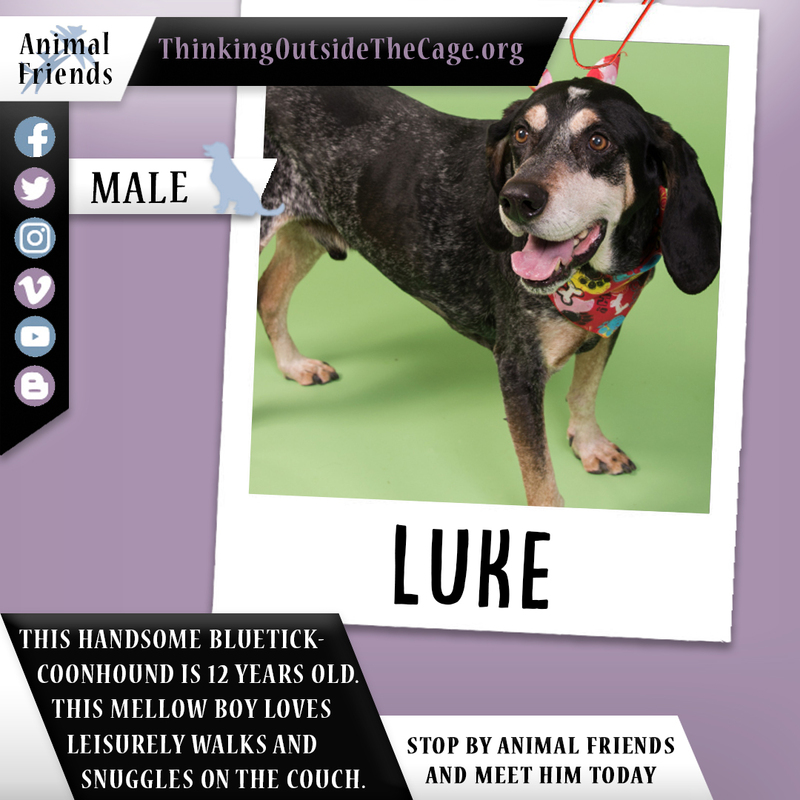 This handsome 12-year-old Bluetick Coonhound is Luke! He is a mellow guy who would like a calm family to treat him to leisurely strolls in the park and some much-deserved snuggle time on the couch. While he isn’t a fan of cats or rabbits, Luke is a very sweet and social boy with his human friends and might even enjoy the company of another dog. Could your home be the one Luke is waiting for? Come by Animal Friends to meet this lovable guy.